Fifty years ago this week, the Polynesian Cultural Center (PCC) opened and began a new venture highlighting the peoples and cultures of Polynesia through entertainment, arts, education, and personal interaction. It was October 14, 1963, when the PCC welcomed its first guests. Today, more than 37 million guests later, the PCC continues to thrive on Oahu’s North Shore as the only cultural tourist attraction of its kind in the world. Grace assumed the PCC’s top executive position earlier this year. A native of New Zealand and 1988 graduate of Brigham Young University-Hawaii (BYUH), Grace is the first former “PCC Alumni” to lead the PCC, and only the second Polynesian. As a BYUH student, he worked as a cultural dancer and held several other jobs at PCC to help fund his education. Situated on 42 lushly landscaped acres and intersected by a scenic lagoon, the PCC’s legacy is anchored by six island villages showcasing Hawaii, Samoa, Tahiti, Tonga, Fiji, and Aotearoa (New Zealand), along with displays honoring Rapa Nui (Easter Island) and Marquesas. At each village, guests are immersed in the native culture through fun and engaging presentations, exhibits, and hands-on activities. Guests have a wide variety of additional cultural experiences to choose from to match all interests and ages, including the newly opened Hawaiian Journey, a film in tribute to the Hawaiian culture that features Hawaii’s captivating scenery on one of the state’s largest movie screens; a festive canoe pageant performed on the lagoon, a delicious luau with Hawaiian entertainment; and the critically acclaimed night show, Ha: Breath of Life. The PCC traces its roots back to the famed hukilau celebration in Laie that started in the late 1940s as a means to raise money for community needs while educating and entertaining visitors. In the first year following its opening, the PCC attracted 175,000 guests. The PCC’s popularity steadily grew as word spread within the travel industry about the unique, festive cultural showcase being staged on the North Shore. PCC also benefited from being featured in TV shows and film in its early years, including Elvis Presley’s Paradise Hawaiian Style in 1966, a highlight of which was the “King of Rock n’ Roll” spending a week filming the movie on-site at PCC and mingling with employees. Through the years, the PCC has also regularly hosted heads of state, kings, ambassadors and other international emissaries and dignitaries, particularly from the Asia-Pacific region. As a non-profit organization, 100 percent of PCC’s revenue is used for daily operations and to support the education of its student-employees from BYUH. In its first 50 years, the PCC has provided financial assistance to more than 18,000 BYUH students from over 70 different countries. Currently, 750 BYUH students are employed at PCC. The PCC is in the process of completing $100 million in facility and experiential improvements over a five-year period, which is scheduled to conclude in fourth quarter 2014 with the grand opening of the newly expanded Pacific Marketplace. The marketplace will double in size to accommodate more shops and offer a wider selection of goods and products from throughout Polynesia. Notably, the marketplace will be positioned closer to Kamehameha Highway and be more readily accessible, as people will be able to shop without having to actually enter PCC. 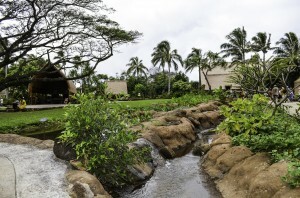 A new Hawaii Village with a design and presentation inspired by the ahupuaa (land division used by ancient Hawaiians, usually extending from the uplands to the sea) that features new activities, architecture and exhibits honoring the native Hawaiian culture. Hawaiian Journey, a new cinematic experience housed in a theater built to resemble a volcano and shown on one of the largest movie screens in the state. The presentation brings to life the story of native Hawaiians and their connection to the aina (land) utilizing special effects that touch all senses. Renovation of Hale Aloha, home to the award-winning Alii Luau experience that features delicious cuisine, with the lively entertainment of the Hawaiian Islands. Revitalized Samoa Village, which is historically one of PCC’s most popular venues due to its exciting presentations, including the tree climbing and coconut husking demonstrations. 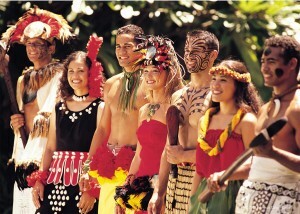 For information or reservations, visit Polynesia.com, or call the PCC ticket office at (800) 367-7060. Photos courtesy the Polynesian Cultural Center. I myself got to visit the PCC and had one of the best times of my life experiencing the story’s and shows of the polynesian culture. If ever I get a chance to get back to Ohau, Hawaii I will make it one of my most important stops. The people and the face’s of the many diverse cultures truely made the highlight of my trip. Thank You so much for what you do !!! !